Prepping is more than waiting for a disaster; it is having the mindset that no matter what happens I can feed my family well nourishing meals without confusion and chaos. 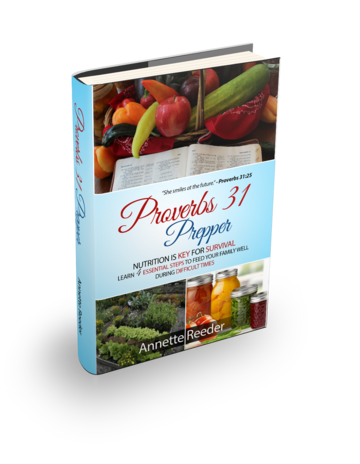 Learn from The Biblical Nutritionist, Annette Reeder, the 4 essential steps to feed your family well during difficul times and times of pleasure. During difficult times the first area of our life most neglected is nutrition, but yet it is the determining factor to keep us strong mentally, emotionally and physically.